Are you looking for an attorney to handle your civil or criminal legal matter whom you can trust? Everyone knows that legal experience is the most important factor when it comes to choosing a lawyer to handle your serious injury, criminal defense, divorce or other legal problems. The outcome of your legal situation can have a life-changing and long-lasting effect on your future in terms of your personal freedom, family relationships, career opportunities, financial security. You must have an attorney who is knowledgeable, skilled, and with extensive experience in dealing with all of the legal factors pertinent to your case. Only then will you have the peace of mind of knowing that your future rests in capable and determined hands. 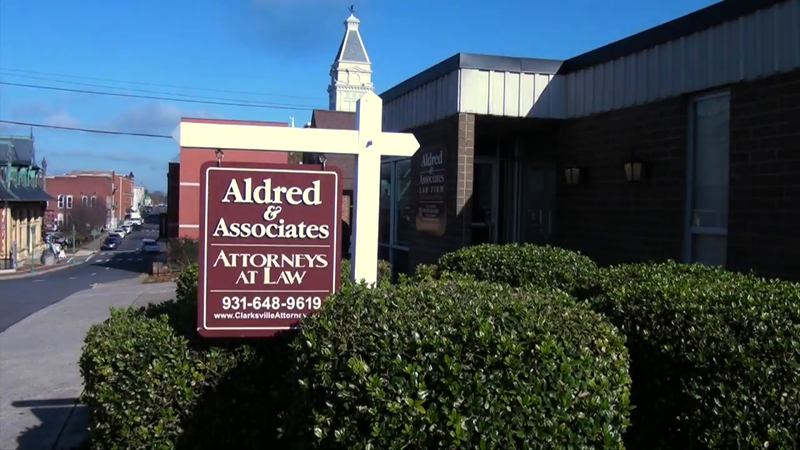 Besides their extensive legal experience, Mr. Aldred is a Board-Certified Specialist. Certification as a civil OR criminal trial specialist by the National Board of Legal Specialty Certification (NBLSC) is difficult to achieve. Judicial and attorney endorsement, a lengthy track record of successful trial experience, and the highest ethical standards must be established before the comprehensive extensive written examination is attempted. Certification is valid for only five years, and expires unless recertification occurs. Bill Aldred is one of the very few attorneys in the region with dual certification as BOTH a Civil and Criminal Trial Specialist, having been repeatedly recertified. This successful experience may bring about a fair settlement to your case, without a trial. Attorney Aldred represents victims in personal injury claims or lawsuits, including those involving birth injury, very serious injury, malpractice, motor vehicle and other accidents, Social Security Disability and more. He has recovered millions of dollars for clients in settlements and verdicts. Uncontested Divorce representation remains the biggest area of need for legal help provided by Attorney Allan Thompson. DON’T spend thousands of your hard-earned dollars fighting a contested divorce battle that you may not win. Call us for a consultation and review of your divorce situation. Perhaps we can save you time and money while eliminating the need for a grueling drawn out and expensive divorce. You will have the dedicated legal representation you deserve to assist you in getting your divorce resolved in a timely and cost-effective manner. We will give you honest and practical advice as it pertains to your specific divorce situation, likely eliminating the need to spend thousands of dollars. You can rest assured knowing that we will always fight for you if it comes to that. By contacting us, you will be taking a positive and proactive step in successfully resolving your legal matter. We take pride in our ability to help you navigate the civil and criminal justice system and in finding successful legal solutions for even the most complex cases. Aldred Law Firm to discuss your case in detail. Receive a free case evaluation today by calling (931) 648-9621. At Aldred Law Firm, we take pride in our undeniable ability to find effective solutions for the most complex legal cases. Start your case today. Fill out the form below to connect with an attorney.